On behalf of the Daily Record, Dundee University and Better Nation, Survation today launch a new monthly series into the attitudes of the Scottish public on a range of issues, including how they intend to vote in the referendum on Scottish independence and in the Scottish parliament and Westminster elections. We polled a representative sample of 1,002 Scottish residents aged over 16. The headline figures for voting intention are summarised below. Data tables for voting intention can be viewed here. 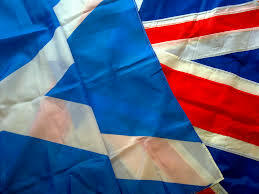 In the referendum, voters will be asked, “Should Scotland be an independent country”. If this referendum were held today, do you think you would vote “Yes” or “No”? These figures show little change from previous polling, with the SNP continuing to enjoy high levels of support in terms of forthcoming elections to the Scottish and Westminster parliaments, but the Nationalists have not managed to significantly increase support for the ‘Yes’ campaign. This may reflect a hardening of views on the independence question, with polls consistently showing support for a ‘No’ vote at a margin similar to that found in this poll. 39% in favour of independence is the highest level of support seen this year, but by a very narrow margin, and within the margin of error. Our poll also shows support for the ‘No’ campaign is much higher among women than men (51% compared to 44%), and is notably higher for those over 65 (60% of this age group are opposed to independence). You can read the Daily Record’s reporting on the poll here, and the analysis by Better Nation here.